Preseves, Jelly & Jam Assort. “What will you think of next?”, customers asked. 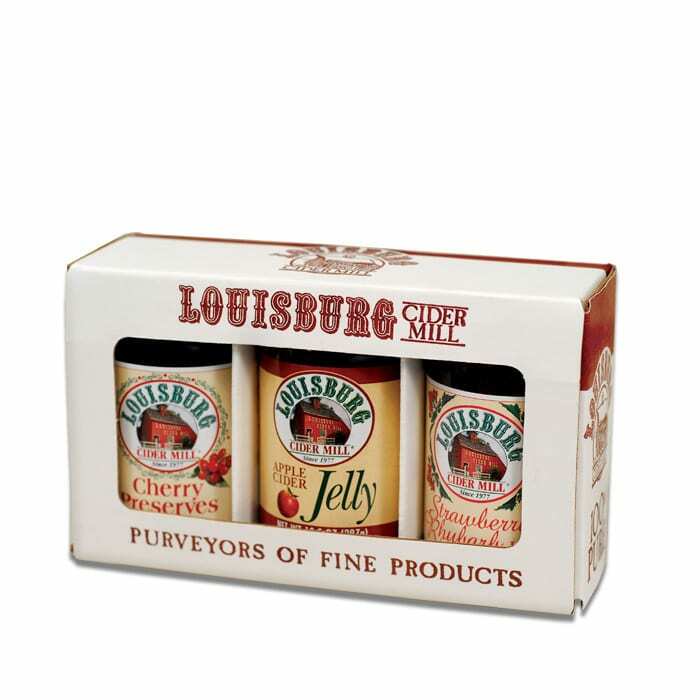 Our answer is a Trio that includes a 1/2 pint jar each of our Cherry Preserves, Apple Cider Jelly and our amazingly flavorful Strawberry Rhubarb Jam.